The most common thyroid disease is hypothyroidism, which occurs when the gland fails to produce enough thyroid hormone. In this case, the metabolism is slow, which is why the body functions are slowed down. Although there are several types of treatment, the basic concept is thyroid hormone replacement therapy designed to replace the thyroid hormones triiodothyronine and thyroxine type. To understand the functioning of the treatment, it is necessary to know how this disease operates.T lymphocytes, a type of cells involved in the inflammatory process, invades the thyroid gland and causes progressive inflammations at this level with destructive effect. Thus ultimately, the patient’s body stop producing thyroid hormones. This creates hypothyroidism. The most common causes are autoimmunity, adverse drug effects or iodine deficiency. Also, this condition may be hereditary or may be associated with some genetic abnormalities such as Turner syndrome, Klinefelter syndrome or Down syndrome. If the patient notices a persistent fatigue, constipation, sleep disturbance, edema, he should consult an endocrinologist for investigations. The lack of iodine is the first cause of hypothyroidism. Iodine is indispensable in the production process of the two thyroid hormones. They are triiodothyronine (T3) and thyroxine (T4). They get into the blood and act on all organs and body tissues. These hormones participate in the maturation of the central nervous system and skeletal system, influence the functioning of the cardiovascular system, digestive system and muscular system. But the production of the hormones T3 and T4 is controlled by a third hormone, thyroid stimulating hormone (TSH). TSH measurement is enough to indicate a thyroid dysfunction. Moreover, depending on its value, further investigations are required. So if TSH values suggest hypothyroidism, thyroid hormone T4 is measured. 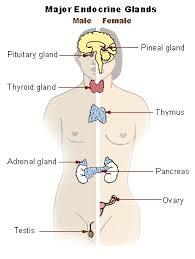 The deficit of thyroid hormone affects all body systems because it influences how the body consumes energy. Therefore, thyroid hormone substitution therapy attenuates all unpleasant symptoms created by hormone deficiency. The most common substitute hormone is levothyroxine. The drug is administered orally and reduces the symptoms: patients feel less tired and blood cholesterol level lowers as well as body weight. The treatment should be followed throughout the life, but the required dose is changed on medical advice. The need for hormone replacement may vary with age, weight, condition or due to other cardiovascular diseases and medication. Thyroid hormone replacement can compensate the hormonal underproduction of the thyroid gland, thus providing the equivalent of T3 and T4 hormones (hormones that are normally secreted by the body). The replacement of thyroid hormones can lead to improvement of symptoms caused by relative or absolute lack of hormones T3 and T4 (such as: tiredness ,slight increase in weight , depression, excessive sleepiness , dry and brittle hair , constipation, high cholesterol , decreased ability to concentrate, etc). Without this treatment, there are maximum chances that thyroid gland become unable to maintain the normal limit of hormones, causing signs and symptoms of an aggravated hypothyroidism. Untreated hypothyroidism can evolve in myxedema coma, which can be triggered by an infection, by exposure to cold, by a trauma or by sedatives.